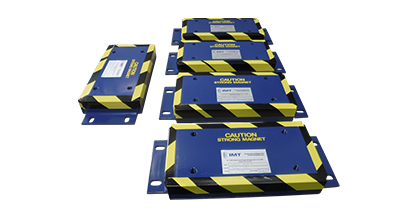 The IMAG-RK is a permanent Magnetic Rake developed for processing facilities operating metal detectors. 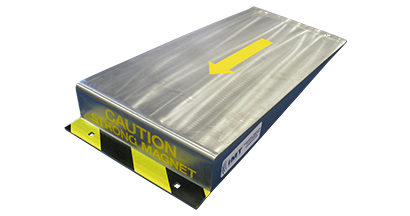 The IMAG-RK permanent magnetic rake is utilized by operation or maintenance personnel after a metal detector is tripped. By simply raking the contaminated material, the powerful magnetic field quickly and efficiently attracts and retains the tramp metal to the magnetic tines. The IMAG-RK assists in the protection of process equipment providing operators with a simple, efficient, and reliable means of removing the tramp metal. This ultimately increases uptime and reduces risk of missed metal contaminant and tampering with metal detectors sensitivity. Permanent Magnetic Rakes are used to extract tramp metal in material on a conveyor system where tramp metal has been detected. This simple and effective device eliminates contamination in refined materials by attracting unwanted ferrous materials which can then be easily removed and discarded. 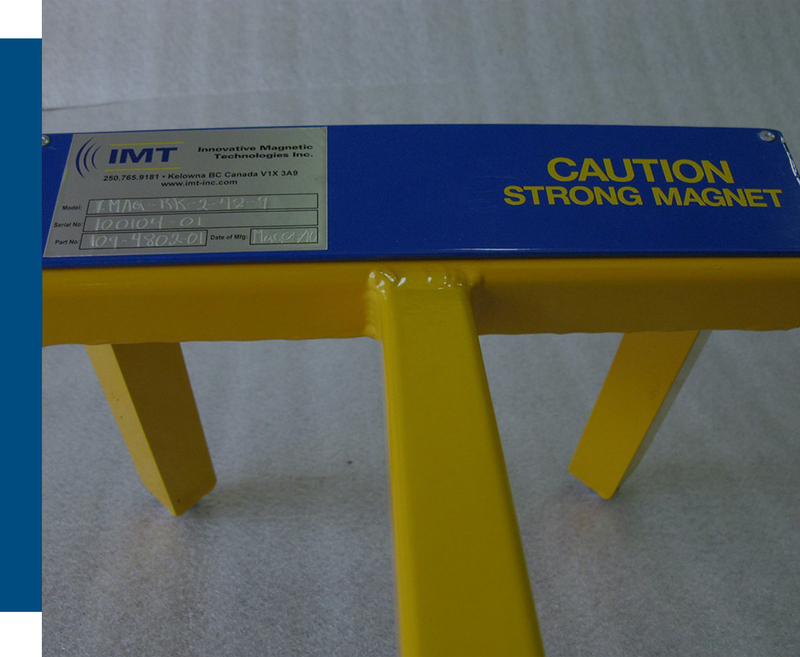 In addition, the IMT magnetic rake improves employee productivity due to ease of use and efficiency. This reduces material waste or loss from what might otherwise become discarded materials. 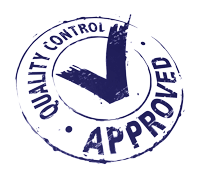 IMT offers decades of experience in the permanent magnetic products industry, and have the knowledge to create an efficient system that increases your productivity while ensuring product quality. Magnetic Rakes are available in many shapes and sizes, and can be custom built for unique applications. 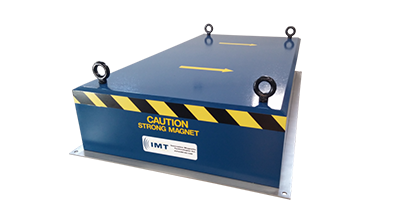 Contact IMT today to review your magnetic rake requirements.